The Worcestershire harpist has a wealth of experience and a broad range of classical, popular, traditional and Bollywood music to enhance your special event. She is already very much in demand for weddings and civil partnerships, naming ceremonies, corporate events and celebrations of almost any nature. The harp is the perfect choice if you wish to create an elegant and unforgettable experience, delighting your guests with a touch of subtle sophistication. 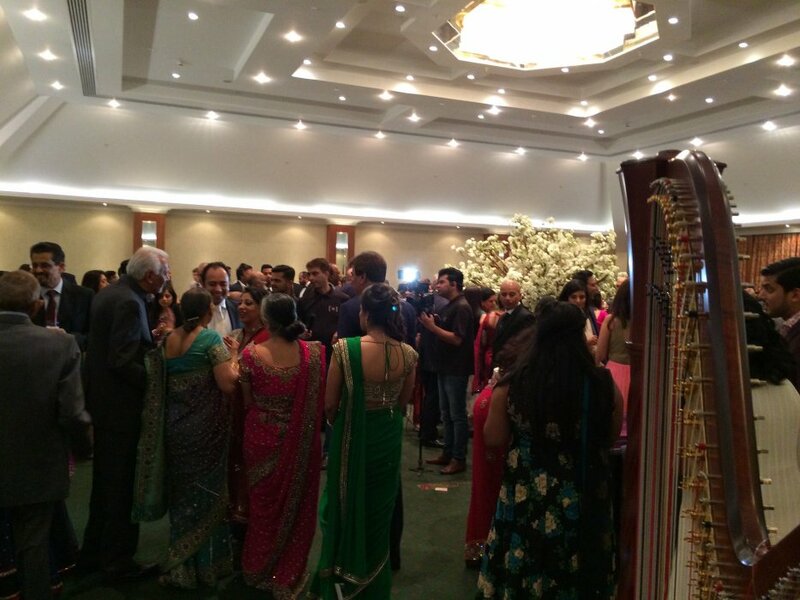 Why not set yourself apart and allow the rich, vibrant tones of the harp to add to the mood of your event? For Asian Weddings, The Worcestershire Harpist has an extensive repertoire of Bollywood songs, many of which are her own unique arrangements for the harp. 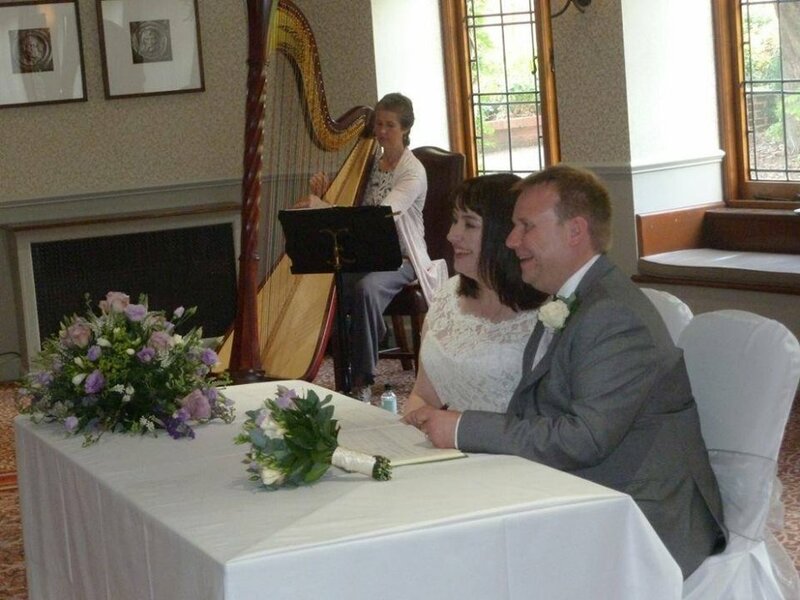 The Worcestershire Harpist is more than happy to chat with clients and agree a selection of music for their special day. 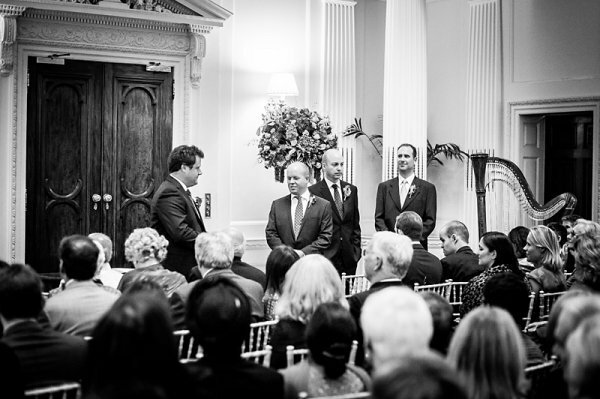 It might be helpful to note that the harp, although it can be amplified is best suited to a ceremony or drinks reception for up to 200, as very large gatherings of several hundred guests can swallow up its delicate and lyrical sound! Number of Reviews and Counting... 7! 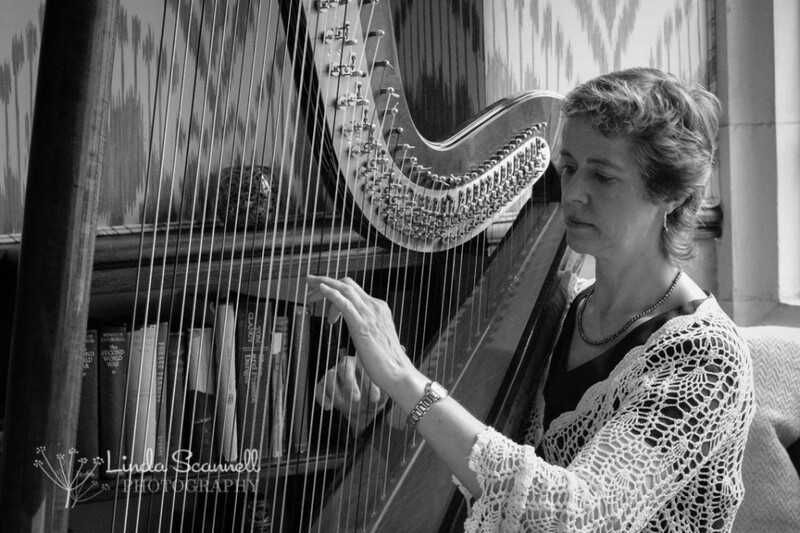 The Worcestershire Harpist studied with the much renowned Sanchia Pielou, graduated from the Royal Scottish Academy of Music and Drama with a BA in Music Performance and was immediately invited to join the orchestra of the Scottish Ballet as principal harpist in 1985. 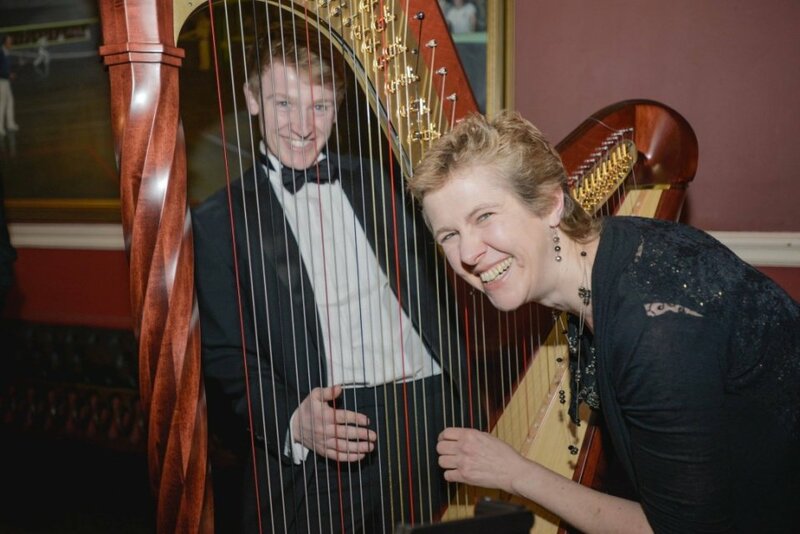 She enjoyed combining this current role with that of principal harpist with the BBC SSO for many years before recently making her home in Worcestershire. 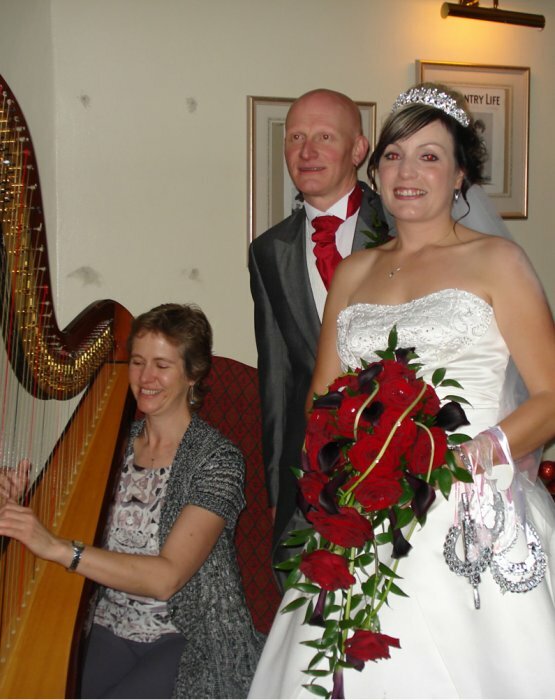 As well as her orchestral interests, The Worcestershire Harpist is also passionate about the more personal field of weddings and special occasions. 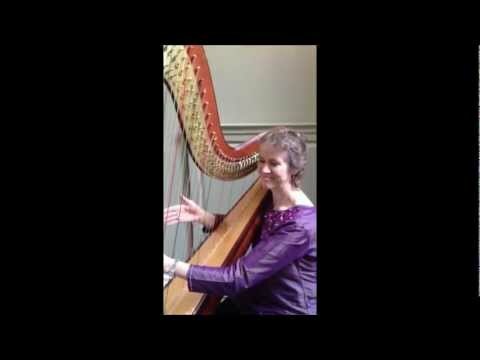 With ever-increasing interest in the harp as an accompaniment to events ranging from cocktail parties and product launches to awards ceremonies and dinners, the Worcestershire Harpist enjoys writing her own arrangements of music so many songs are unique to this harpist! 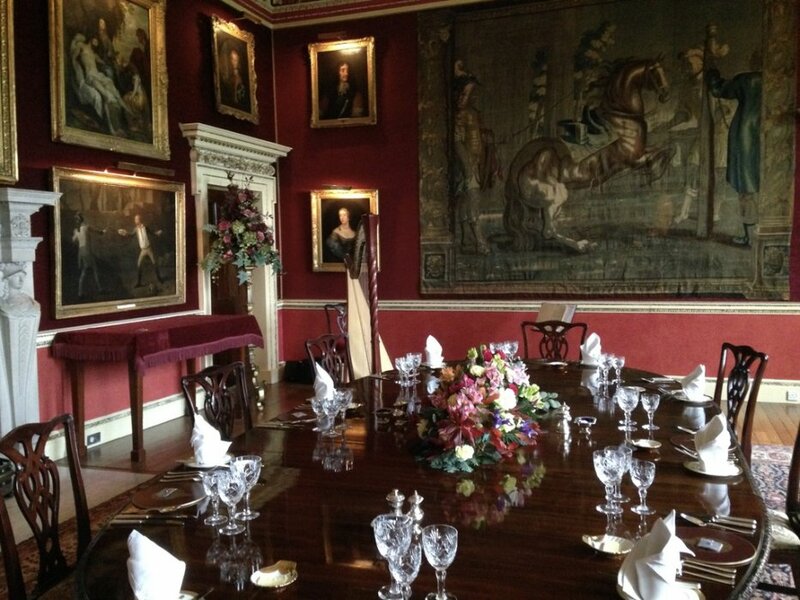 As a preferred supplier at many venues including Hagley Hall, The Pear Tree Inn and Country Hotel, Compton Verney and Ettington Chase, this accomplished harpist enjoys entertaining guests in a variety of settings. 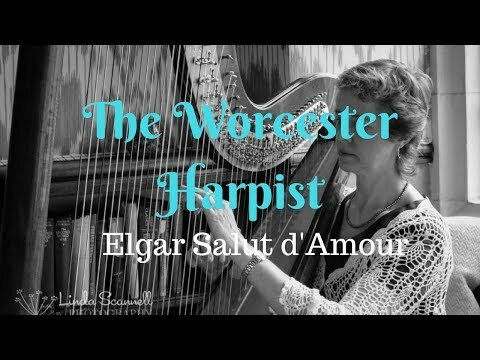 Please be aware that The Worcestershire Harpist does not play the harp outside, so although an outdoor ceremony isn't appropriate, sitting just inside open patio doors and using her amplifier usually works well for all, depending upon the layout of the venue and assuming the reasonable proximity of guests! The Worcestershire Harpist arrived in good time, and entertained us very well. Several of my guests remarked on how much they had enjoyed her playing. The range of melodies and songs played was perfect! Just what we’d asked for and more! It was performed beautifully and even in a room of 250, it was heard by a majority of people. Really made our day that little bit different. Thank you! My 5 scoring shows how excellent The Worcestershire Harpist was. She made a wonderful part of our evening, the musical choices were great as is her performance and personality. We couldn't have asked for more. Great service and communication, our harpist was amazing and played exactly what we wanted. Thank you so much. We are so happy that we chose you to play at our wedding. 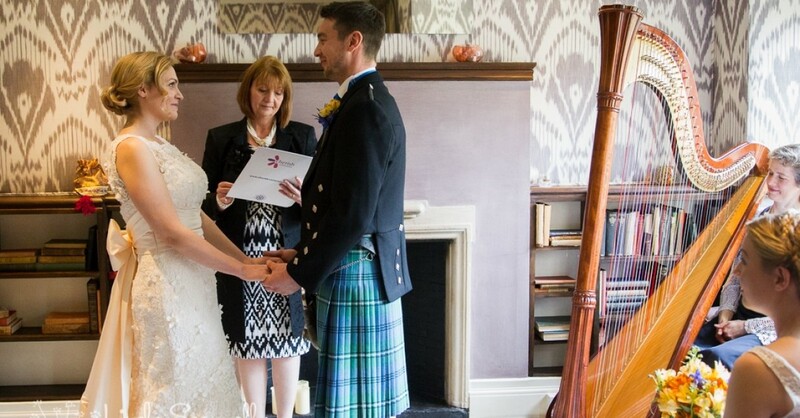 It sounded completely magical and really added a sparkle to our wedding day. Meredith was so friendly and professional and a pleasure to have at the wedding. All the guests commented on how beautiful the music was. Thank you so much! The Worcestershire Harpist was absolutely brilliant, from initial contact to her performance on the day. She was very prompt in responding to any queries I had and went out of her way to travel to my venue and meet with myself and venue staff to organise plans for the day. 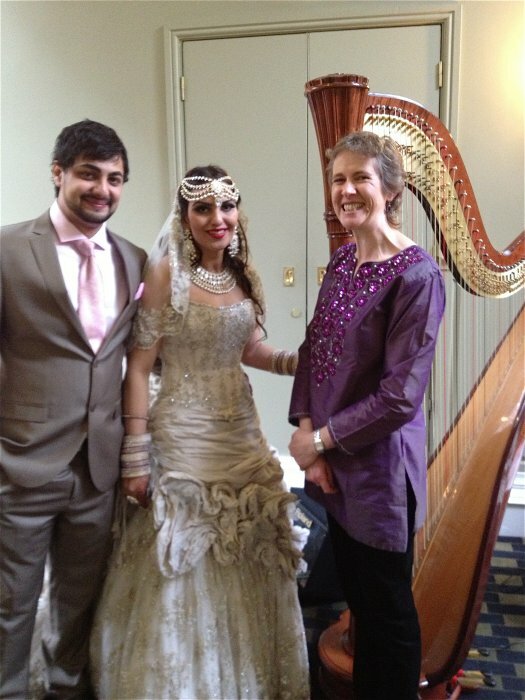 My guests thoroughly enjoyed the lovely music she performed on the harp, we received many compliments on the day! 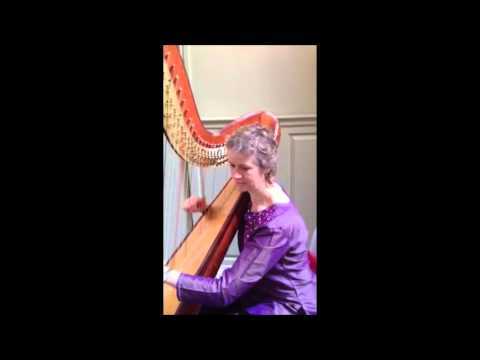 I have no hesitation in recommending The Worcestershire Harpist to others, she provided a very professional and elegant service. The Worcestershire Harpist is the preferred supplier at many venues in and around the Worcestershire area including Hagley Hall, Compton Verney, Curradine Barns and the Pear Tree Inn and Country Club, Pendrell Hall, The Ashes Barns & Cripps Barn. Think about the best place for the harp, and if a move is needed (say between a ceremony and reception), please allow a few minutes. 2m x 2m is needed for comfort and to allow room for guests & waiting staff to circulate please. An armless dining chair & appropriate lighting is important too please! Very close to the venue please, even if the car has to be moved later. Usually able to move the harp and gear herself, but stairs are the harpist’s nightmare. Moving the harp up or down a staircase or steps is definitely a two-man job! If in a marquee, firm, level flooring is imperative as is good access for the car and large, valuable harp. The Worcestershire Harpist has Public Liability Insurance of £10,000,000 and Is a member of the Musician's Union. Other events: may be a product launch, anniversary, birthday party, business lunch or dinner, christening or naming ceremony as well as funeral wakes. Customers who have enquired for The Worcestershire Harpist have also been interested in the following Harpists available to hire in Droitwich, Worcestershire. For more information or further options, please call 0845 643 9384. 1 Have I Told You Lately?